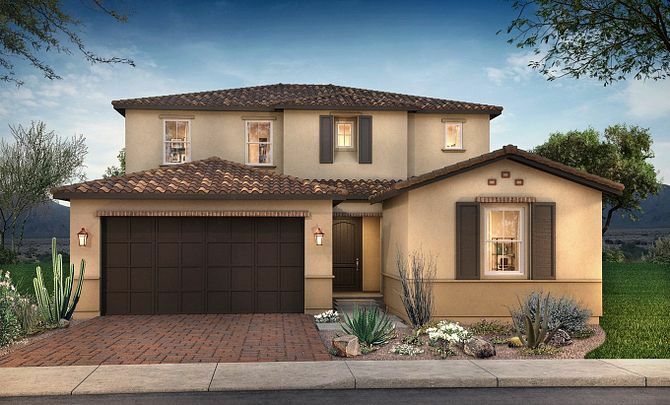 Nestled against Golden Mountain Preserves and surrounded by the high Sonoran Desert is Ascent at Aloravita, a community of beautifully designed new homes in north Peoria Arizona, that offers the best of the outdoor lifestyle in a fantastic setting with a convenient 30-minute commute to downtown Phoenix. From excellent golfing and hiking to boutique shopping and unique eateries, plentiful options for fun and relaxation are close at hand. For your comfort, a cozy Peoria neighborhood awaits, with 62 new homes and six generous floorplans to choose from, both single and two-story and with plenty of living space at ~2,000 to ~3,000 square feet.